We're happy to provide you an update on our progress via our monthly newsletter. 92% of all Ghanaian businesses are MSMEs and they provide 70% of the GDP. They rate efficient, transparent access to finance as their top problem, and we aim to help by digitizing access. 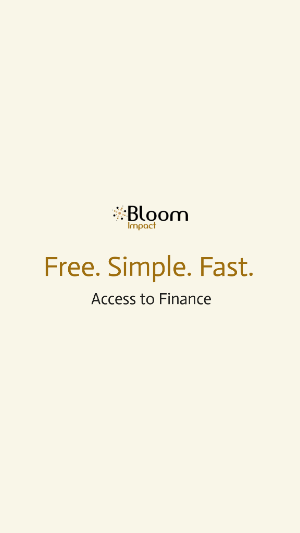 Our marketplace matches the needs and qualifications of business owners with the most appropriate financial products. 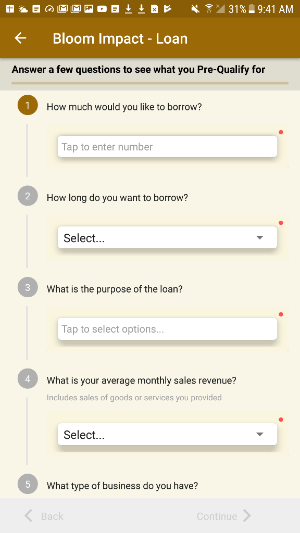 For our Beta product we are working with several financial service providers: Affinity Microfinance, Christian Community Microfinance Limited, Bank of Africa, GN Bank and Fidelity. Today we offer credit, savings and checking account products geared to help micro and small businesses better run their activities. To drive adoption of our service, we have built partnerships with various organizations in Ghana that serve MSMEs. 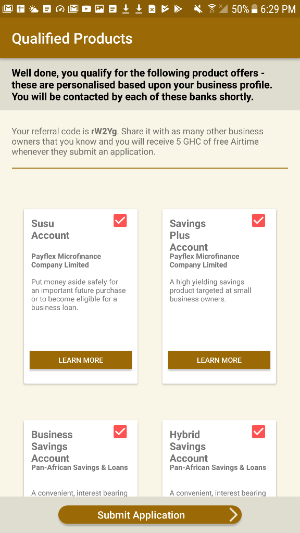 These partnerships help us reach out to small businesses to learn about their needs in accessing financial products, areas to drive financial literacy and receive first-hand feedback on our app. 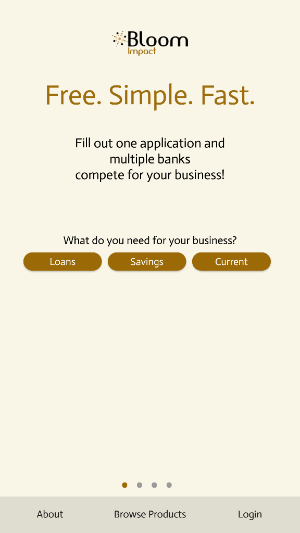 Through our app, we help both MSMEs find the right products and financial service providers find quality customers. Bloom Impact (David, Andrew, George) posing with small business owners with the Association of Small Scale Industries (ASSI) after presenting our App at our event held at the Impact Hub in Accra. Our latest partnerships include: Ghana Association of Women Entrepreneurs (GAWE): GAWE is an affiliate of the African Federation of Women Entrepreneurs founded in 1991. They support female business owners that manufacturer and export goods and services. They provide a network to connect female entrepreneurs and provide support through advocacy, driving and capacity building programs. 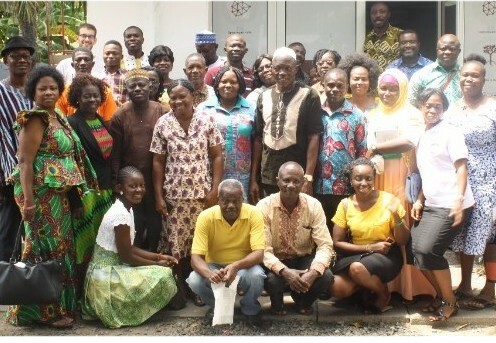 Association of Small Scale Industries (ASSI): An umbrella organization of smaller trade associations in Ghana, ASSI impacts 4.5 million MSMEs in Ghana through advocacy and business advisory services. It was established in 1986 by an initiative of the National Board of Small Scale Industries.